Hidden Targets is an action puzzle game, you will test your memory while playing! 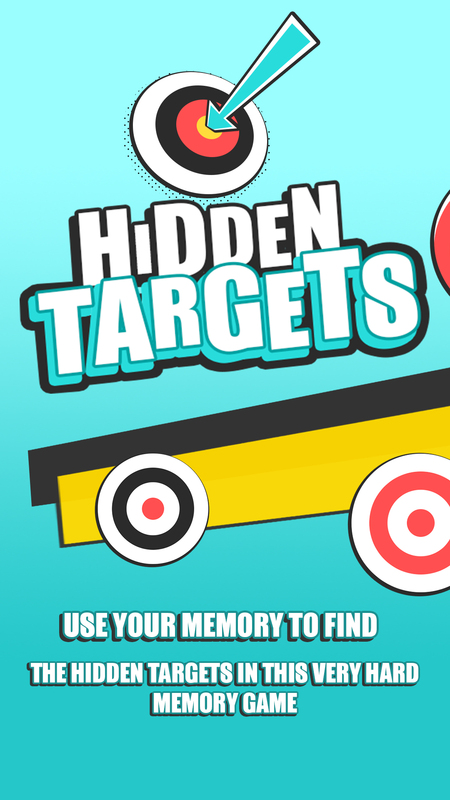 You should focus on the targets and as soon as they hide you have to find them, seek for the hidden objects and click where you remember they were. Stay focus! 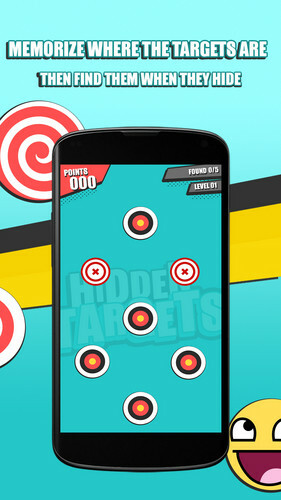 Targets can move or change their size, pay attention when the level start! Imagine you are blindfolded in an archery club and have to shoot at last known target position, that's how you play targets! 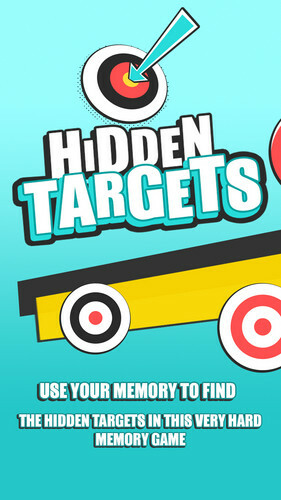 Try to remember where you last saw the targets and good luck! Have fun while you play each one of the 43 levels and go as far as you can, the further you go the more points you will have at the end. Outnumber your friends! 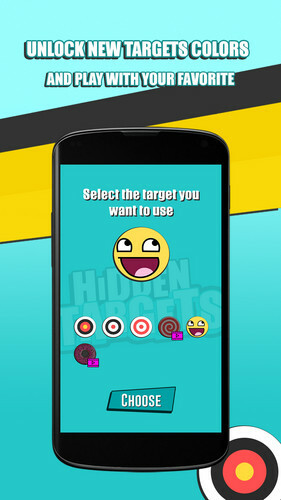 Challenge them to beat your record, compare your scores and have fun seeing wich one of you score more points! Easy and Free to play! You can play using only one hand, anywere you like!! 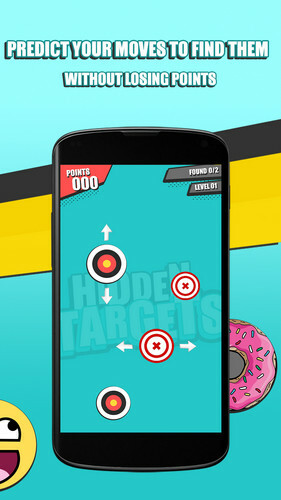 Train your reflexes skills, you'll see how this game can challenge you. Targets does not need the internet to be played, save your data playing offline!! You'll only need a connection if you use online ranking. Unlock new targets skins! You can play with different objects skins, just select the one you like in the customization menu, select one of these skins to play: Donuts, Archery, Hypnosis and many more skins to play with.